Be progressive in your sporty style and comfort with the SKECHERS Equalizer - Forward Thinking shoe. 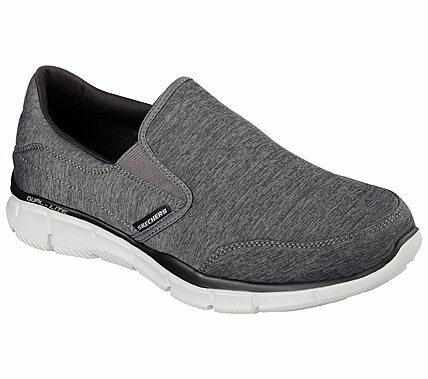 Soft heathered jersey knit fabric upper in a slip on sporty casual comfort walking sneaker with stitching and overlay accents. Memory Foam insole.